You know what Tropa, I found a new venue for water rafting which is just 3 hours away from Metro Manila. It's located in the towns of Majayjay and Magdalena, Laguna. I'm sure some of you know the place for those who've seen the Majayjay Falls. Going to Majayjay is as easy as one 1,2,3. If you have car, take the SLEX and exit at Calamba. After that, straight ahead to SM City Calamba then turn right. Follow the highway passing through towns of Los Banos, Sta Cruz, Pila, Victoria, and Calauan. Turn left when you see Jolibee and pass by the town of Magdalena and then to the town proper of Majayjay. Travel time is around 2.5 to 3 hours. The new water adventure is facilitated by Camp Allen, a training and development center in Laguna. The water rafting in these towns was started last year. The river boasts twenty-one rapids, which classified as level 3. Beginners and amateurs are welcome to experience rafting in these spots. Before the adventure, guides discussed do's and dont's while inside the inflatable raft. 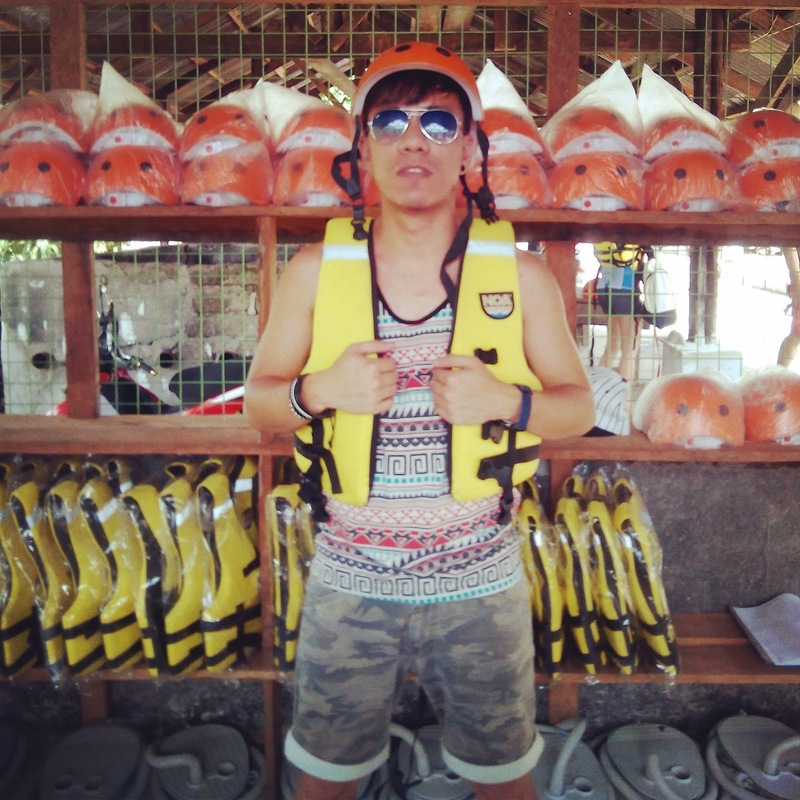 Everyone should wear life vest for safety. You need also to secure your gadgets because your bounded to be wet. Lastly, you need to be physically, emotionally and mentally capable of running the river. 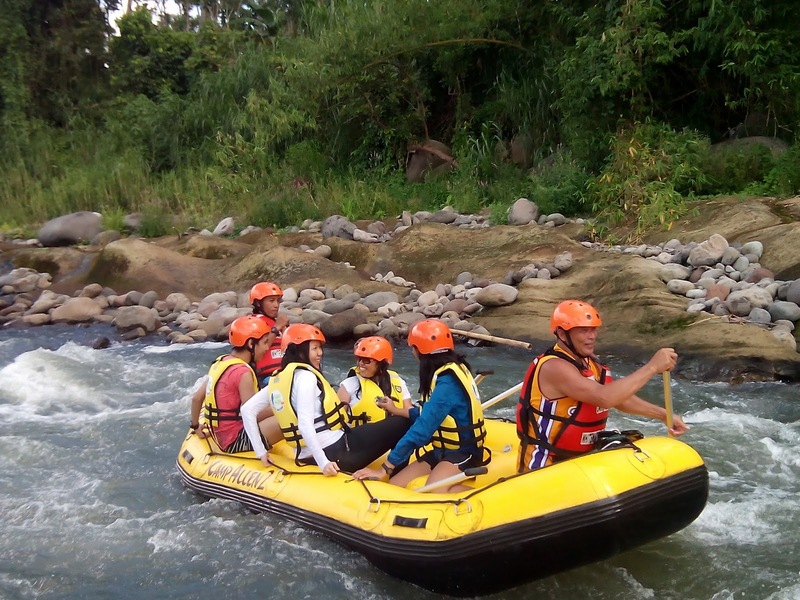 When I saw the place, I know it has big potential to be one of the premier rafting destinations in the Philippines. The water level is not that dangerous and rapids are from moderate to difficult. The views along the way are very relaxing. What I suggest to the place is to add other activities like zipline and boating or perhaps other attraction like hanging bridge. At the end of our adventure, Camp Allen prepared refreshing drinks and delicious pinoy cuisine-chicken and pork adobo, which rapped in a banana leaf. This is what I'm talking about, the best thing to do after a tiring activity is to eat. hahaha! The area has also comfort rooms where you take shower and change your wet clothes. There is also a beautiful landscape where you can take rest while looking the view of the river. The landscape was created by the Igorots. If you can't afford to go to Cagayan De Oro (CDO) and on a tight budget, you just need to go in Majayjay and Magdalena. 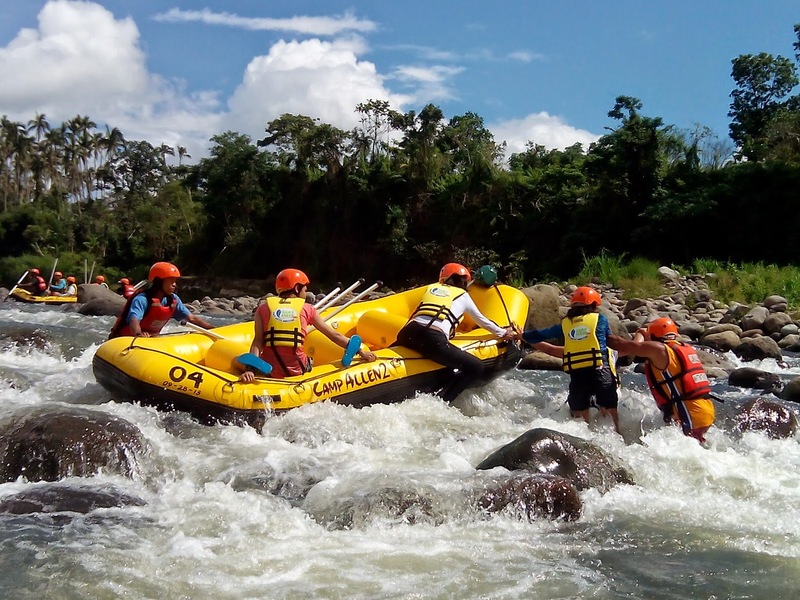 You will definitely enjoy the exciting experience of white water rafting. 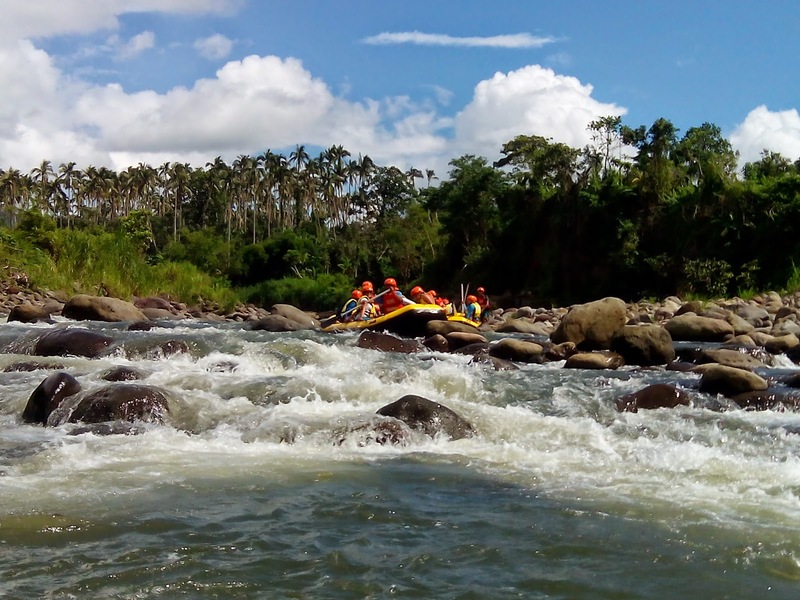 Aside from river rafting, you can go to some tourist spots in Magdalena like Mary Magdalene Parish Church, Emilio Jacinto Shrine, Bahay Laguna, Mali-mali Bridge, The Rizal Park, The Pintong Kabag and The Pintong Pilak. Don't forget also to visit the very famous Majayjay Falls and Tanay Falls. 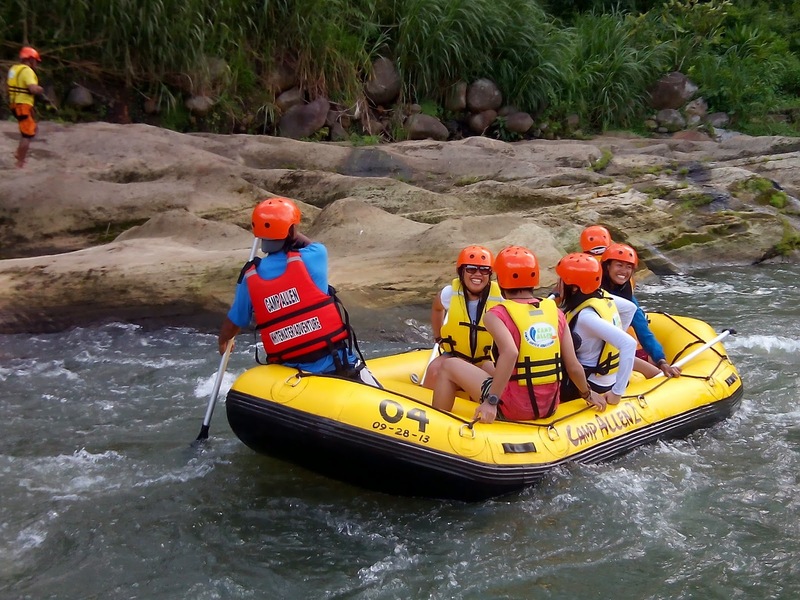 If your group want to experience the fun of water rafting, you may contact Camp Allen or Great Sights Travel and Tours. 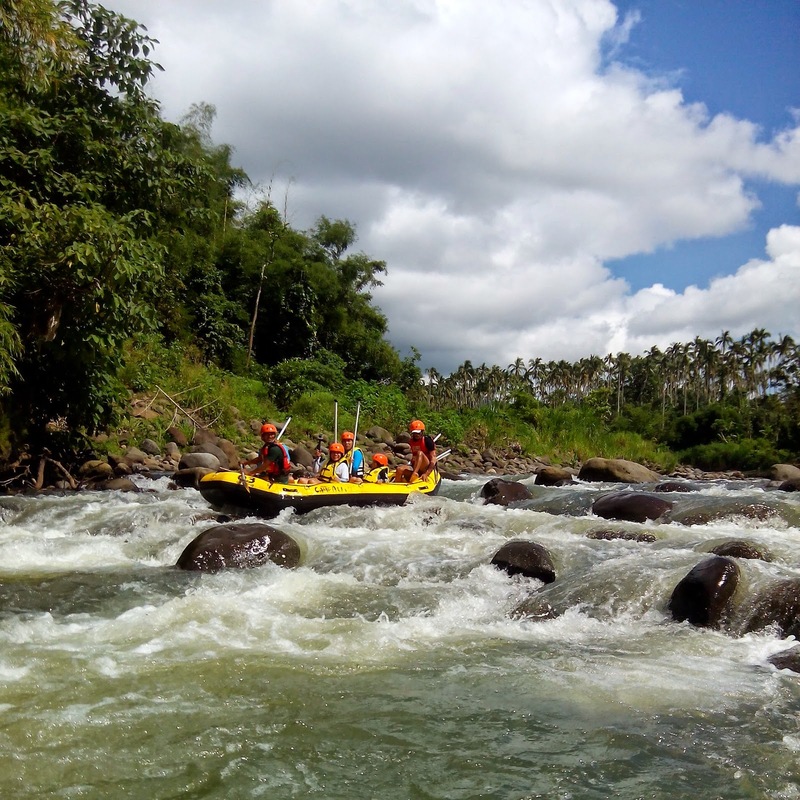 The cost is P2500/pax, which includes transfers from the camp to Majayjay river, snacks, trained guides, meal life vest, helmet, paddle and use of inflatable raft. From Buendia or Cubao, take a bus bound for Sta. Cruz, Laguna. From there, take a jeepney to Magdalena or Majayjay.